On the lower floor, the novices learn and study. 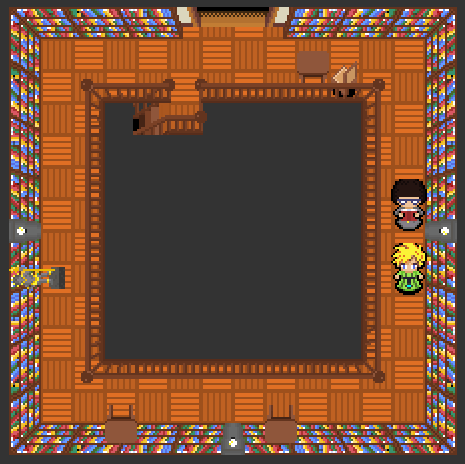 In future versions of the game the player will be able to interact with them. They can tell you about hierarchical structures among the priests and the city&apos;s history. 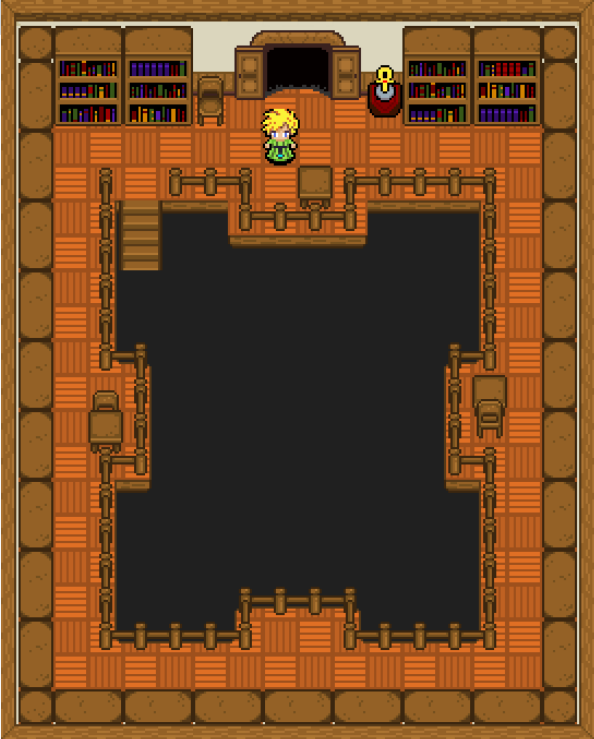 The second floor contains the ancient and important books that novices are not allowed to touch. It is also the workplace of the librarian who takes care that no naughty things happen. The layout of the library is inspired by the archaeological library of the Humboldt university in Berlin (Germany). 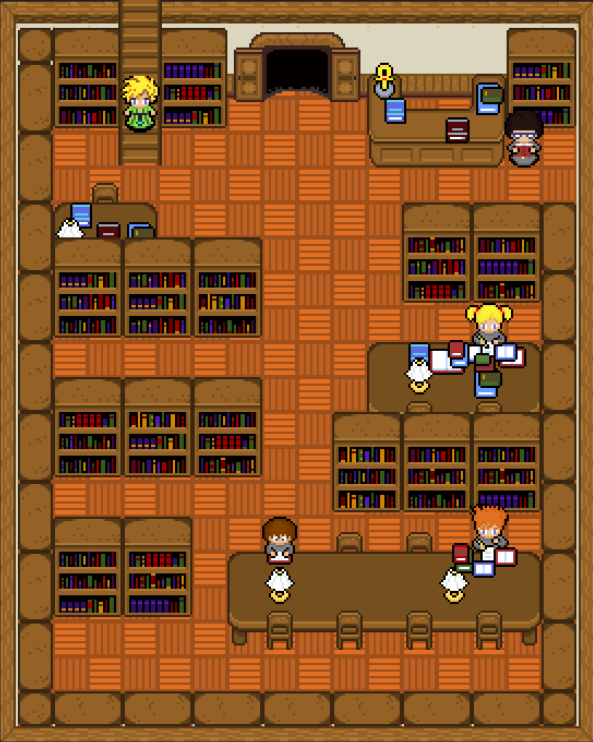 The library was the main reason to change perspective in the game. Because these library stairs were difficult to build. And the perspective disturbed me. 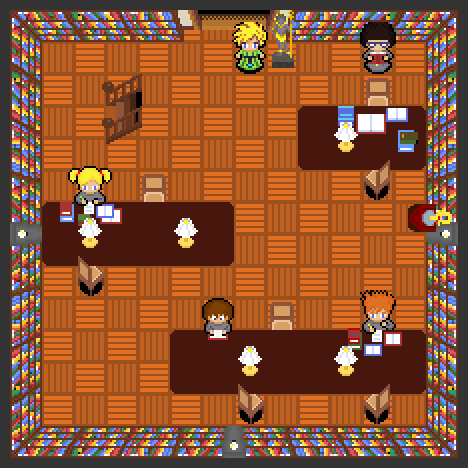 Now the library looks like this. There the novices still study diligently. The library still has two floors. At the top is the gallery.